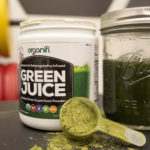 Home » Organifi Green Juice Review — The Right Dosage? Organifi Green Juice Review — The Right Dosage? So why is this product so well known? The website describes it as a way to “get all your healthy superfoods in one glass…with No Chopping, No Blending, No Juicing, and No Cleanup.” The listed benefits include “naturally balances hormones,” “helps with occasional stress,” “boosts immune function,” “supports mental clarity,” and the eleven main ingredients are described variously as “anti-inflammatory miracle(s)” and “incredible appetite fight(ers)”. Tall orders, but there is some interesting research behind some of these ingredients, particularly the star ingredient Ashwagandha. Let’s take a closer look in my Organifi Green Juice Review. Shop Organifi Green Juice HERE. One serving is 30 calories: 2 grams of protein and 4 grams of carbs with 4 grams of fiber and 1 gram of sugar. The eagle eyed reader will notice that’s actually five grams of carbs, but in any case this has a very high fiber-to-carbohydrate ratio. As for micronutrients there’s very little going on here: there are no vitamins, 1 percent of the recommended daily intake of sodium, 3 percent of your calcium, and 11 percent of your daily iron. That’s no vitamins and practically no minerals, although to be fair, 11 percent of your iron in one little scoop isn’t too bad at all. There’s no indication of how much of each ingredient is included in a serving, only that the Alkaline Greens Blend weighs 5.1 grams and the Super Food Blend is 1.45 grams. So if you wanted to know if, say, there’s enough ashwagandha to reach the amounts shown to have an effect in a clinical trial, you’re out of luck. The ingredients are all organic and are divided into two main groups. 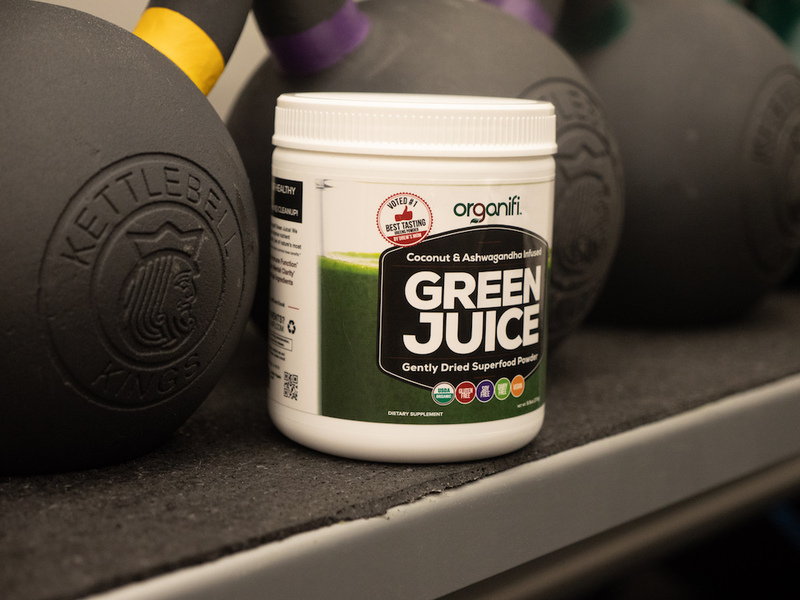 First, there’s an “Alkaline Greens Proprietary Blend” (5.1 grams) of wheatgrass, moringa oleifera (aka horseradish tree leaf), spirulina, chlorella, and matcha green tea. Then there’s a “Super Food Proprietary Blend” (1.45 grams) of coconut water powder, ashwagandha root extract, red beet root, and turmeric. Additional ingredients include prebiotic fiber; lemon, orange, and mint flavor; and monk fruit. There’s no indication of how much of each ingredient is included in a serving, only that the Alkaline Greens Blend weighs 5.1 grams and the Super Food Blend is 1.45 grams. One of the biggest selling points of this product is the ashwagandha, an herb that has a long history of use in Ayurvedic medicine, but unlike a lot of plants that wind up in homeopathic remedies there’s actually some pretty interesting science supporting its use. 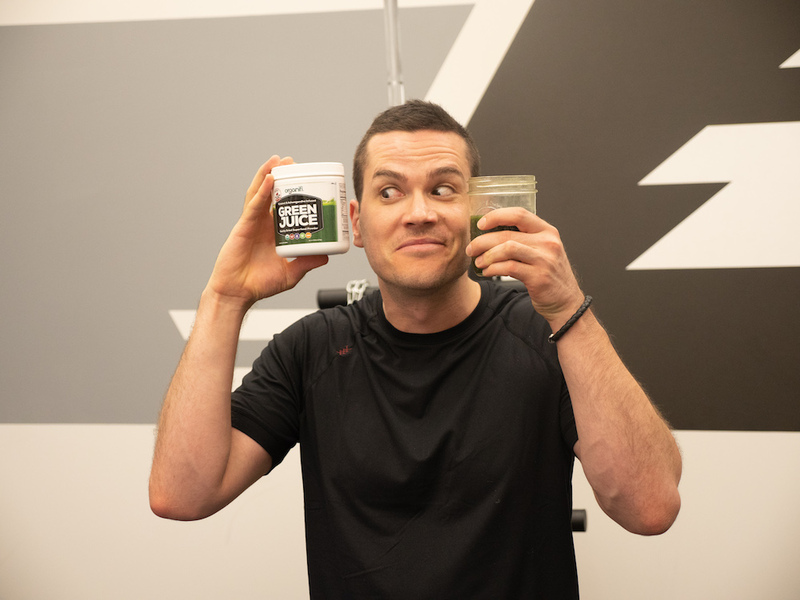 It’s often called an adaptogen, a term used to refer to plants or compounds that can improve the way the body reacts to stress, and there’s pretty strong data suggesting it can help lower anxiety, stress, and cortisol. Those are the best known effects but it also appears to lower total cholesterol and even boost power output during workouts. As an adaptogen, it’s meant to help the body respond to stress and because stress has a pretty strong immunosuppressant effect, the product’s big claims of helping immunity and mental clarity are mostly tied to the Ashwagandha as well. But those proprietary blends make things pretty tricky. If you wanted to know if, say, there’s enough ashwagandha to reach the amounts shown to have an effect in a clinical trial, you’re out of luck — we only know that it’s the second in gredient ina blaned of five ingredients that weighs 1.45 grams. However, according to a few large, randomized studies, the lowest effective dose for ashwagandha is probably about 300 milligrams and since it’s the second ingredient in the 1.45 grams, in all likelihood, does provide an effective dose. To be honest, though, I would rather not have to guess this. There are some other ingredients that are a little harder to figure out. For example, it says it contains turmeric because it’s an anti-inflammatory. There’s pretty solid evidence for this and it’s linked to curcumin, a pigment found in the turmeric root. As an example of its potency, a study in Clinical Gastroenterology and Hepatology found a couple grams a day help with remission in ulcerative colitis patients, which involves high inflammation in the digestive tract. Another study published in 2010 found that 1,000 milligrams of curcumin helped to manage osteoarthritis among a group of patients, but I’m less confident in Organifi’s dosages, here. Since we still have to guess at the amounts contained in this proprietary bled, all we can say is that it’s the last ingredient in the 1.45-gram blend. A gram of turmeric provides about 30 to 60 milligrams of curcumin and as you can see above, studies usually use hundreds if not thousands of milligrams of curcumin to combat inflammation. It’s true that some evidence suggests that just one gram of turmeric a day can help, but it seems pretty clear that Green Juice has well under a gram of the stuff. Another thing to note is that in turmeric supplements (and as is the case with Organifi’s Gold superfood supplement) turmeric is paired with black pepper extract, which a lot of data suggests is important for enhancing the absorption of he curcumin. With well under a gram of turmeric in a serving and no black pepper extract, I wasn’t sold on the turmeric in this product. On the other hand, given all the wheatgrass, chlorella, spirulina, and matcha in this product I am quite confident that this delivers a solid dose of antioxidants and antioxidants are linked to a huge variety of health benefits, largely because oxygen does damage our cells (think rust to metal) and antioxidants may be able to attenuate some of that damage. So if you’re looking for a greens powder with ashwagandha and antioxidants, you can be relatively confident that Organifi will fit the bill. But you might not want to use this as a source of vitamins and minerals, since there’s no info about vitamins and the only mineral of which it is a decent source is iron. Organifi’s website talks a lot about how the coconuts in the product contain potassium and the beets contain manganese, but those minerals aren’t in the nutrition label either. Sure, beets are a great source of manganese but is this product a great source of manganese? I wish I knew. But as a source of ashwagandha and antioxidants, I think it’s probably effective. The price can always change but you can expect to pay between $60 and $80 for 30 servings, so it’s roughly $2.30 per scoop. It’s on the more expensive side, particularly relative to some other powders. However, as I say in the video above, it has all organic ingredients and some interesting ones, so the price may be worth it for you. It’s also not the most expensive green superfood powder I’ve tried. 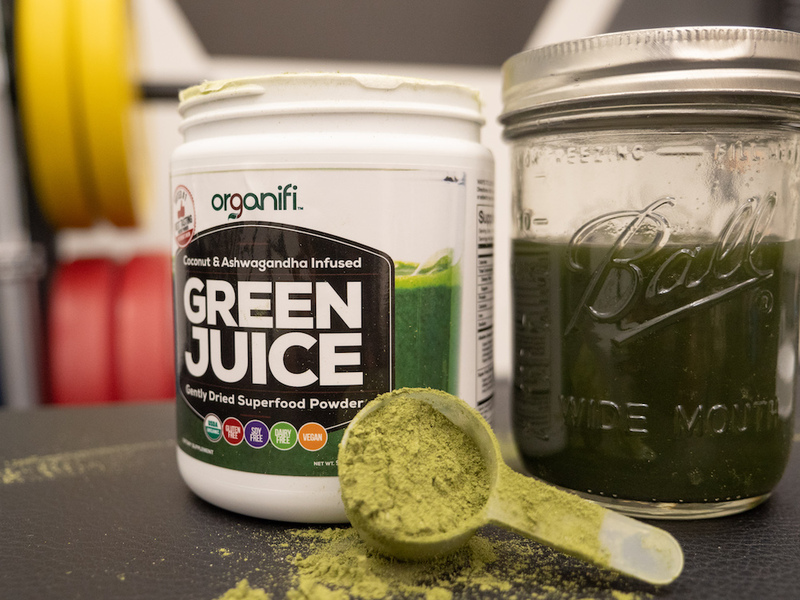 Compare that with Athletic Greens ($4.23/serving), Onnit’s Earth Grown Nutrients ($2.30/serving), Patriot Power Greens ($1.96/serving) AI Sports Nutrition Red & Greens XT ($1.33/serving), Green Vibrance ($1.08/serving), ORAC-Energy Greens ($1/serving), PharmaFreak Greens Freak ($1/serving), Sun Warrior’s Supergreens ($0.55/serving), and Amazing Grass’s Green Superfood ($0.52/serving). I was pleasantly surprised by the taste. 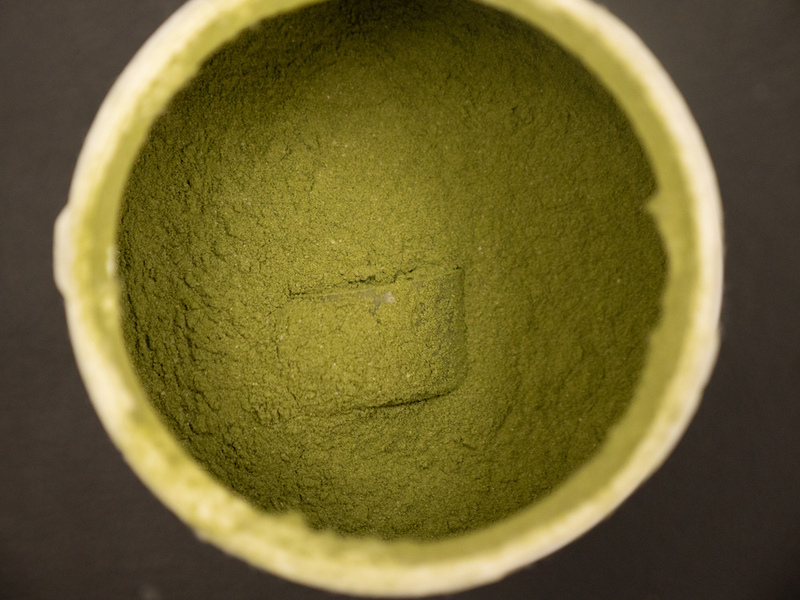 The thing with green superfood powders is that the majority of them taste a lot like soil. While Organifi has a lot of the same ingredients that tend to produce that taste — wheatgrass, chlorella, spirulina — it actually tasted like mint green tea, With all of the coconut-centric branding I was expecting something smooth and tropical, but instead the matcha and the organic mint flavor came to the fore. It doesn’t mix super well but it’s quite pleasant and when it’s mixed with very cold water, I daresay it’s refreshing. As a source of ashwagandha, iron, and antioxidants, Organifi delivers. I’m not crazy about the fact that it a proprietary blend and I think some of the marketing claims are a little over the top. It’s not particularly transparent — all of my assessments of its potency have been made purely on guesswork as opposed to knowledge of the actual ingredients’ doses. With all that said, as a source of ashwagandha, iron, and antioxidants, Organifi delivers. I’m confident that this reaches the levels of ashwagandha used in studies that have found anti-anxiety and other cognitive benefits. Sure, some of the marketing claims are a little over the top but in my opinion, if you want some antioxidants with a cognitive boost, it’s a pretty smart pick.